After Thanksgiving comes to an end, the holiday season is in full swing. I love everything about the holidays. 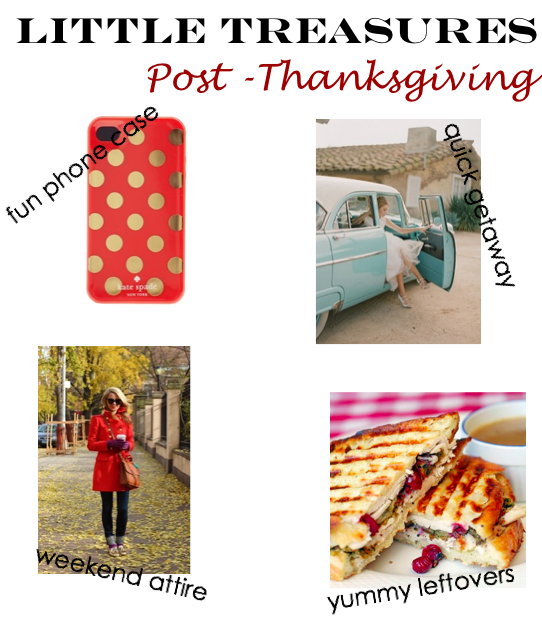 This week's Little Treasures is the perfect post-Thanksgiving ideas. From the ideal outfit, to ideas for yummy leftovers (for some fab recipes for leftovers, check out Damsel in Dior). Hope you enjoy the great deals and sales, and have a wonderful weekend with family and friends.